What we call the Poinsettia is native to Mexico and was called Cuetlaxochitl by the Aztecs. Its name signified "Flower that withers, mortal flower that perishes like all that is pure". The cuetlaxochitl was cultivated as a gift from the gods and Montezuma (1480 - 1520, last of the Aztec Kings) adorned his palaces with the plant. Cuetlaxochitl, with it's blood red color, served as a reminder of the sacrifice the gods had made to create the universe, and the debt which would be repaid with human sacrifice. The Aztecs also used the sap of Cuetlaxochitl to cure fever, and the bracts (leaves) to make a dye. In the 17th century (post conquest) Franciscan missionaries settled in an area of Southern Mexico known as Taxco del Alarcon. The flaming wild flower became for the first time a part of Christian ceremony when it was used in the nativity procession, the Fiesta of Santa Pesebre. It is around this time that many legends originate, purporting to explain why the plant, beginning to be called "la flor de Nochebuena," or Holy Night (Christmas Eve) flower, acquired its brilliant color. 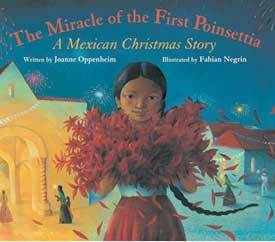 One popular folk story tells about Pepita, a poor young Mexican girl heartbroken at not having the money to buy baby Jesus a present. Seeing her in tears, an angel appears to her and tells her to gather a bundle of the weeds growing nearby. When her tears fall upon the weeds they miraculously turn into glorious red blooms. Another legend tells of the Franciscan friars celebrating Christmas with a lovingly decorated nativity scene. During the mass, as the Star of Bethlehem passed overhead, the leaves turned from green to bright red. The poinsettia, formally a symbol of Aztec sacrifice, became a symbol of the blood of Christ and quickly associated itself with the Christmas season. In Mexico, the Poinsettia, "la flor de Nochebuena", is displayed around Dia de la Virgen, December 12. In the U.S., Poinsettia day is also December 12. 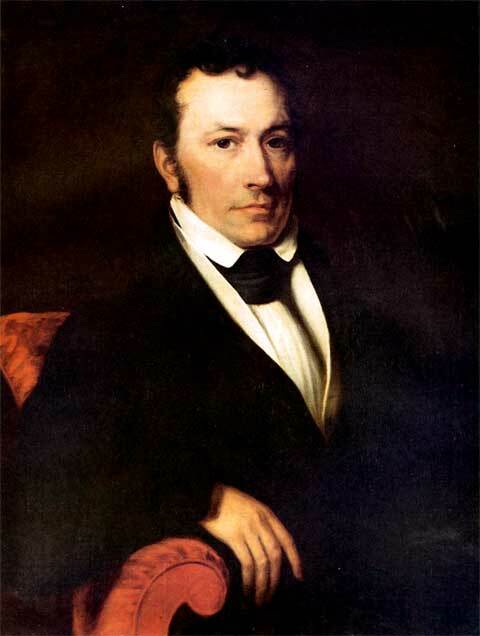 The date is in remembrance of Joel Poinsett who died on that date in 1851. Quite a coincidence! In 1828, as first Ambassador to the new Republic of Mexico, Joel Roberts Poinsett (Bio) while visiting the Taxco region, discovered the ruby red-bloomed plant and was so fascinated with it that he sent clippings to his home in Charleston, South Carolina. Poinsett, a doctor and soldier by trade, was also an amateur botanist. Upon his return to Charleston, he forwarded clippings to friends. The botanical name of Euphorbia pulcherrima had originally been assigned to the Poinsettia by the German botanist, Wilenow in 1833 but by 1837 the plant had been renamed Poinsettia Pucherrima. This was done by William Hickling Prescott, historian and gardener who had been asked to rename it. Wishing to honor Poinsett for his many achievements in government and horticulture, Prescott decided the new name for the beautiful Euphorbia would hence-forth be poinsettia. Poinsett retired from his duties as Secretary of War in 1841. He became a founding member of the National Institute for the Promotion of Science and the Useful which later became the Smithsonian Institute. Poinsett died on December 12th, 1851.